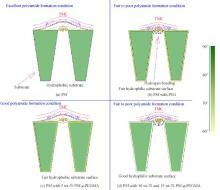 To advance commercial application of forward osmosis (FO), we investigated the effects of two additives on the performance of polysulfone (PSf) based FO membranes: one is poly(ethylene glycol) (PEG), and another is PSf grafted with PEG methyl ether methacrylate (PSf-g-PEGMA). PSf blended with PEG or PSf-g-PEGMA was used to form a substrate layer, and then polyamide was formed on a support layer by interfacial polymerization. 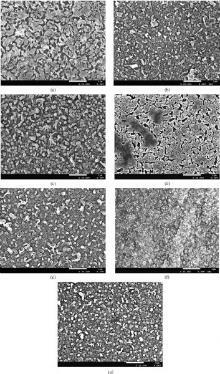 In this study, NaCl (1 mol?L−1) and deionized water were used as the draw solution and the feed solution, respectively. 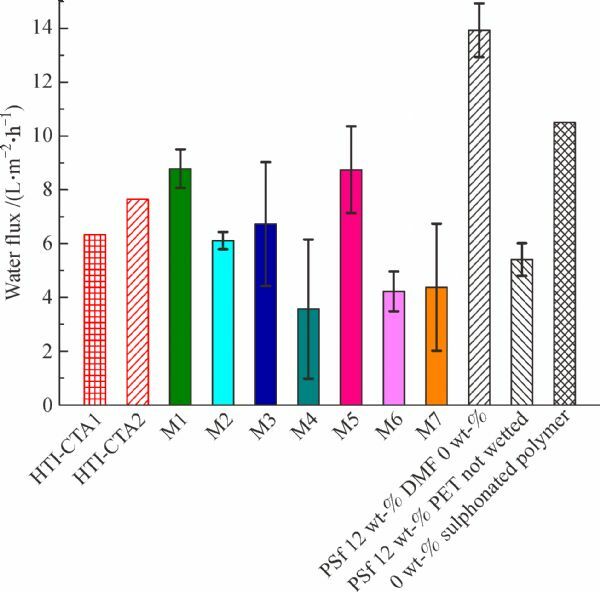 With the increase of PEG content from 0 to 15 wt-%, FO water flux declined by 23.4% to 59.3% compared to a PSf TFC FO membrane. With the increase of PSf-g-PEGMA from 0 to 15 wt-%, the membrane flux showed almost no change at first and then declined by about 52.0% and 50.4%. 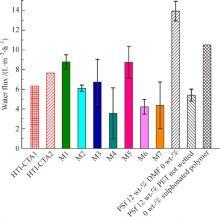 The PSf with 5 wt-% PSf-g-PEGMA FO membrane showed a higher pure water flux of 8.74 L?m−2?h−1 than the commercial HTI membranes (6–8 L?m−2?h−1) under the FO mode. 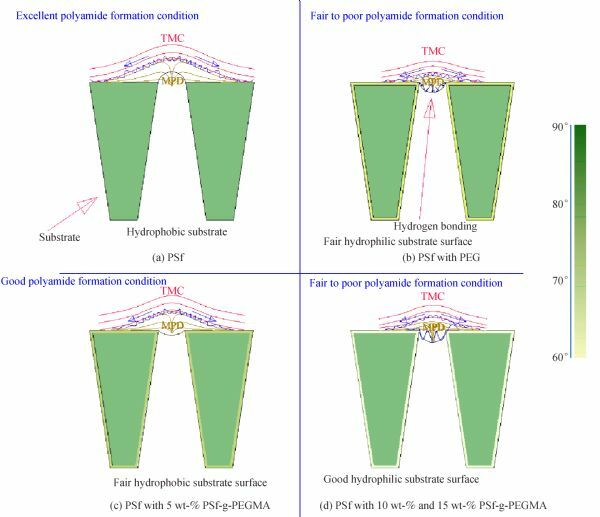 Our study suggests that hydrophobic interface is very important for the formation of polyamide, and a small amount of PSf-g-PEGMA can maintain a good condition for the formation of polyamide and reduce internal concentration polarization. Dae Hwan Shin, Yu Tong Tam, Glen S. Kwon. Polymeric micelle nanocarriers in cancer research[J]. Front. Chem. Sci. Eng., 2016, 10(3): 348-359. Jing YANG,Juan LV,Bin GAO,Li ZHANG,Dazhi YANG,Changcan SHI,Jintang GUO,Wenzhong LI,Yakai FENG. 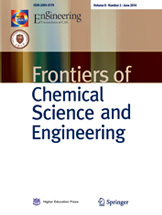 Modification of polycarbonateurethane surface with poly(ethylene glycol) monoacrylate and phosphorylcholine glyceraldehyde for anti-platelet adhesion[J]. Front. Chem. Sci. Eng., 2014, 8(2): 188-196. WU Chunrui, ZHANG Shouhai, YANG Fajie, YAN Chun, JIAN Xigao. 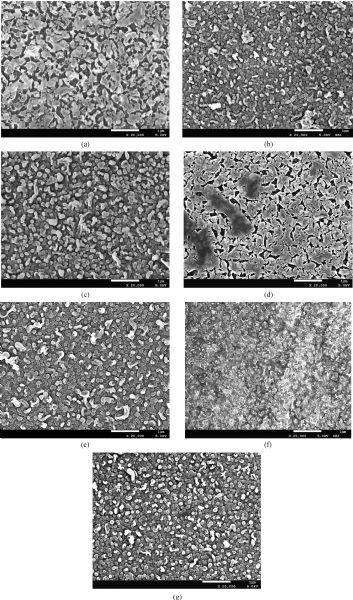 Preparation and performance of novel thermal stable composite nanofiltration membrane [J]. Front. Chem. Sci. Eng., 2008, 2(4): 402-406.